payment flexibility and giving customers greater control. One of the most recent developments in Chip and PIN technology is the increasing popularity of using a mobile phone handset as a payment terminal. 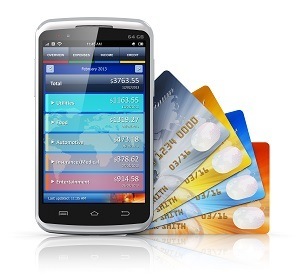 Mobile phones can be used to make Chip & PIN transactions from anywhere a network connection can be made. They work in exactly the same way as a regular Chip & PIN handset in any shop or restaurant. An app is uploaded onto the phone to scan barcodes and manage stock control and billing, with an additional piece of hardware being able to take the card payment through the Chip & PIN system. Payments could be taken in the aisles rather than only at the register, reducing the need for queuing to make a purchase. Receipts could be emailed via the phone terminal to the customer, eliminating paper receipts. Any employee could potentially be equipped to take payment, meaning a sale is never lost. A new service allows a phone handset to operate as a contactless payment device which is simply waved over a reader. Debit and credit cards can be combined into a single Chip & PIN card, which also means that loyalty cards, reward cards and other store cards can be combined. Contactless payment can be used for small items, by swiping a Chip & PIN card over a reader. Displaying dynamic information on your chip and pin card, with advertising, special offers or useful information such as directions.